The MCW Clinical and Translational Science Institute (CTSI) is seeking applicants for the Scientific Teams Advancing Research Translations (START) TL1 Mentored Clinical Research Training Program. The START TL1 award supports trainees seeking a practical introduction to clinical and translational research. The TL1 award provides full-time research training support for one year for a.) currently enrolled post-doctoral students, and b.) medical school, doctoral- or master-level students (i.e. MD/PhD or PhD students) seeking additional training in clinical research. The overall goal of START TL1 Program award is to increase the number of well-trained clinician-scientists who can lead the design and oversight of future clinical investigations critical to transforming the translational process so that new treatments and cures for disease can be delivered to patients faster. During the year of research, trainees will participate in workshops that teach grant writing, manuscript writing, and other professional development skills, including best practice strategies to optimize communication skills. Trainees will also receive Team Science experiences as a vertically integrated training experience. Medical and graduate students conducting clinical and translational research will participate in the program along with post -doctoral students who will work together to better translate research findings throughout the entire spectrum of translational research. The program also utilizes activities with high school and undergraduates from our pipeline programs, to reinforce the impact that clinical and translational research has on human populations within our community. Trainees will participate in bi-annual conferences to present their current studies in a team-based environment. The training experience will be optimized by the use of Individual Development Plans (IDP). Please read this RFA carefully for complete eligibility requirements related to the applicant and type of research proposed. The start date for the TL1 award is July 1, 2019. The one-year appointment can be renewed once, at the discretion of the TL1 admissions committee and based on the accomplished work to date, for a total possible appointment of two years. The MCW CTSI START TL1 training program is part of the NIH Ruth L. Kirschstein National Research Service Award (NRSA) program, the goal of which is to help ensure that a diverse pool of highly trained scientists is available in appropriate scientific disciplines to address the Nation’s biomedical, behavioral, and clinical research needs. It is funded through a grant from the National Center for Clinical and Translational Science (NCATS). Up to $5,700 ($1,500 Travel; $4,200 Trainee related expenses, including fringe) for Pre-Doctoral Scholars and for Post-Doctoral Scholars up to $12,350 ($1,500 Travel; $10,850 Trainee related expenses, including fringe) to defray the cost of the research program and travel to national meetings; (Additional information can be found at the links above under B. Training Related Expenses on Institutional Training Grants). Access to a training curriculum in clinical and translational research methodology and specialized training seminars. Up to 60% of tuition may be reimbursed. 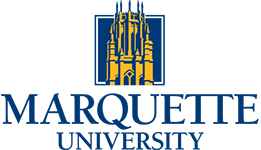 (Maximum level-Pre-Doctoral, up to $21,000 per year; Maximum level-Post-Doctoral, up to $16,000 per year). Please read all parts of this application carefully before applying. The application submission process is a two-phase process. The Pre-application in Phase I and the Application (and other required documents) in Phase 2 are submitted electronically to the CTSI office for administrative approval via the START Program. Only candidates who are recommended by the Review Committee will be invited to submit an Application in Phase II. 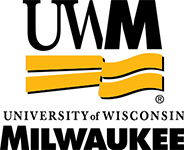 For UWM applicants, applications may need to be routed using the WISPER system and approved by the Office of Sponsored Programs (OSP) prior to submission. Please work with your major professor or supervisor or contact an OSP staff member early in your application preparation process to ensure accurate compliance. The Pre-application is submitted electronically to the CTSI using the START Program Application form. Applicants will need to be logged into the site with their CTSI credentials to access this form. Applicants are to complete the requested personal information and attach a Personal Statement (2-page limit), which includes a description of their academic qualifications, prior training background, previous research experience and interest in the program. Successful candidates will be invited to complete a Research Proposal (3-page limit) and attach a Letter of Support by the primary mentor. Application should be submitted electronically to the CTSI using the START Program Application form (find link at TL1 Application Instructions). Applicants will need to be logged into the site with their CTSI credentials to access this form. Studies that involve clinical trials (biomedical and behavioral intervention studies) must include a description of the plan for data and safety monitoring of the research and adverse event reporting to ensure the safety of subjects. The applications must include a description of a program to receive formal or informal instruction in scientific integrity or the responsible conduct of research. Applications without plans for instruction in the responsible conduct of research will be considered incomplete. Candidates should consider instruction in the following areas: conflict of interest, responsible authorship, policies for handling misconduct, policies regarding the use of human and animal subjects, and data management. Document prior instruction in, and propose plans to receive, instruction in the responsible conduct of research in terms of subject matter and duration of instruction. The candidate should consult with mentor regarding the development of this section if needed. The Primary mentor must agree to provide annual evaluations of the candidate’s progress for the duration of the award. All candidates must name a Primary Mentor who, together with the applicant is responsible for the planning, direction, and execution of the research project. The mentor should be recognized as an accomplished investigator in the proposed research area and have a track record of success in training independent investigators in clinical and translational research. The candidate and mentor must describe a career development program with an emphasis on clinical and translational research that maximizes the use of relevant research, educational resources, and qualified faculty as mentors in clinical and translational research. Before you apply, please note the following information. Citizenship Status: At the time of appointment to the training program, individuals selected to participate in the training program must be US citizens or permanent residents of the US at the time of the award. Individuals on temporary or student visas are not eligible to apply unless they have begun the process for becoming a permanent resident and expect to be admitted as a permanent resident by the award date. Individuals on temporary or student visas are not eligible for NRSA support. Effort: Trainees must be able to commit full-time effort in the program at the time of appointment. 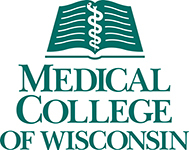 Education/Training: Eligible pre-doctoral and post-doctoral applicants must be currently enrolled and in good academic standing at MCW or a partnering institution in health-related graduate programs. Training Support: No individual trainee may receive more than 5 years of aggregate NRSA support at the pre-doctoral level, including any combination of support from institutional training and individual fellowship awards. Please read these instructions carefully before going online to apply. The application must be completed and submitted online through the link below. Please sign in to access this form. If you haven't signed up yet, please join CTSI. The application process is designed so that you can save your information and return to it (you will be given a code, so be prepared to save that information). Materials must be submitted online in PDF format. Please use Arial with font no smaller than size 11. Use single-space text. Margins should be at least ½ inch on all sides. The letters of support should be addressed to Dr. David Brousseau, incorporated into a PDF file and uploaded in the TL1 application. Please make sure you have completed all sections of the entire application. Incomplete applications will not be accepted. No late applications will be accepted. Applicants will put together a two-person mentoring team. Guiding and encouraging the design and execution of an original, high quality, clinical research project. Supervising the preparation of a final report. Providing career development and counseling. Your mentor should meet with you regularly at least monthly and attend occasional meetings/trainings for TL1 trainees and mentors organized by the CTSI. The Project Summary should not exceed 3 pages. The proposed research must fit the following definition of clinical research and be situated somewhere on the translational research spectrum from T1 to T4. See Appendix 1 for more information. Patient-oriented resea Research conducted with human subjects (or on material of human origin such as tissues, specimens, and cognitive phenomena) for which an investigator (or colleague) directly interacts with human subjects. Excluded from this definition are in vitro studies that utilize human tissues that cannot be linked to a living individual. It includes: (a) mechanisms of human disease, (b), therapeutic interventions, (c) clinical trials, or (d) development of new technologies. Outcomes research and health services research. Provide a project summary which includes the research design, methods, and aims and objectives of the project, using language that is understandable to a scientifically or technically literate reader not in your field.g., to test a stated hypothesis, create a novel design, solve a specific problem, challenge an existing paradigm or clinical practice, address a critical barrier to progress in the field, or develop new technology. Describe the overall strategy, methodology, and analyses to be used to accomplish the specific aims of the project. Include how the data will be collected, analyzed, and interpreted as well as any resource sharing plans as appropriate. Describe where the study will be conducted and how the environment with contribute to the probability of success. Discuss how the project will benefit from unique features of the scientific environment, subject populations, or collaborative arrangements. Discuss potential problems, alternative strategies, and benchmarks for success anticipated to achieve the aims. If the project is in the early stages of development, describe any strategy to establish feasibility, and address the management of any high risk aspects of the proposed work. Point out any procedures, situations, or materials that may be hazardous to personnel and precautions to be exercised. Provide the annual stipend, travel expenses, tuition, training related expenses, including fringe benefits requested and a detailed description along with any cost sharing. Literature citations will not be included in page limits. Transcript from Doctoral Granting Institution. Postdoctoral applicants should provide a transcript to document graduate and undergraduate education. The CTSI START TL1 Committee will make recommendations for funding of TL1 trainees: Reviewers will evaluate the applications by reviewing: the Trainee, the Training Plan, the Mentors, and the Research. Individual Development Plan will be required at three-month intervals. Appointed TL1 Trainees are not allowed to simultaneously hold another appointment or position. Per regulations, Ruth L. Kirschstein TL1 awards fund clinical research, per the following definitions. Patient-oriented research. Research conducted with human subjects (or on material of human origin such as tissues, specimens, and cognitive phenomena) for which an investigator (or colleague) directly interacts with human subjects. Excluded from this definition are in vitro studies that utilize human tissues that cannot be linked to a living individual. It includes: (a) mechanisms of human disease, (b), therapeutic interventions, (c) clinical trials, or (d) development of new technologies. Clinical Trial²: A research study in which one or more human subjects are prospectively assigned to one or more interventions (which may include placebo or other control) to evaluate the effects of those interventions on health- related biomedical or behavioral outcomes. Diagnostic trials determine better tests or procedures for diagnosing a particular disease or condition. Natural history studies provide valuable information about how disease and health progress. Prevention trials look for better ways to prevent a disease in people who have never had the disease or to prevent the disease from returning. Quality of life trials (or supportive care trials) explore and measure ways to improve the comfort and quality of life of people with a chronic illness. Screening trials test the best way to detect certain diseases or health conditions. Treatment trials test new treatments, new combinations of drugs, or new approaches to surgery or radiation therapy. Phase I trials— Tests a new biomedical intervention in a small group of people (e.g. 20-80) for the first time to determine efficacy and evaluate safety (e.g., determine a safe dosage range and identify side effects). Phase II trials— Study the biomedical or behavioral intervention in a larger, but still limited, group of people (up to several hundred) to determine efficacy and further evaluate safety. Phase IIa: Pilot clinical trials to evaluate efficacy (and safety) in selected populations of patients with the disease or condition to be treated, diagnosed, or prevented. Objectives may focus on dose-response, type of patient, frequency of dosing, or numerous other characteristics of safety and efficacy. Phase IIb (Not funded by this award): Well controlled trials to evaluate efficacy (and safety) in patients with the disease or condition to be treated, diagnosed, or prevented. These clinical trials usually represent the most rigorous demonstration of a medicine’s efficacy. Sometimes referred to as pivotal trials. Phase III trials— Not funded by this award. Study to determine efficacy of the biomedical or behavioral intervention in large groups of people (from several hundred to several thousand) by comparing the intervention to other standard or experimental interventions as well as to monitor adverse effects, and to collect information that will allow the interventions to be used safely. Phase IV trials— Not funded by this award. Studies conducted after the intervention has been marketed. These studies are designed to monitor the effectiveness of the approved intervention in the general population and to collect information about any adverse effects associated with widespread use. Per regulations, Ruth L. Kirschstein TL1 awards fund translational research that occupies a particular space on the Clinical & Translational research spectrum: T1 to T4 (excluding clinical trials from Phase IIB to Phase IV). The application has a section where you will place your research on the spectrum and provide a two to 4 sentence justification for that placement. Below are definitions and more information. T0 refers to basic scientific discovery (Not funded by this award). T0 is characterized by the identification of opportunities and approaches to health problems. T1 seeks to move basic discovery into a candidate health application. Research examples include: human physiology, first in humans (healthy volunteers), proof of concept, Phase 1 Clinical Trials. T2 assesses the value of application for health practice leading to the development of evidence-based guidelines. Research examples include: Phase 2 and Phase 3 Clinical Trials. Clinical trials IIB and following are not funded by this award. T3 attempts to move evidence-based guidelines into health practice, through delivery, dissemination, and diffusion research. Research examples include health services research related to dissemination, communication, and implementation; and clinical outcomes research. Phase 4 Clinical Trials are also part of T3, but are not funded by this award. 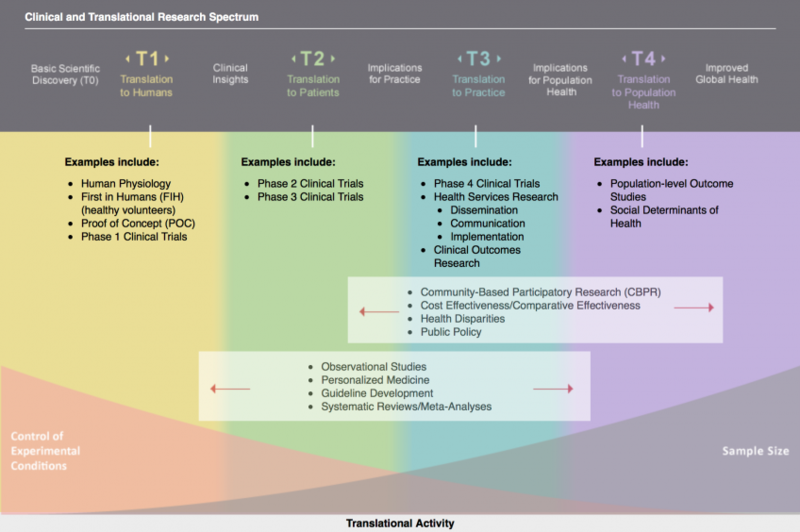 T4 seeks to evaluate the “real world” health outcomes of population health practice. Research examples include: population level outcome studies; studies of the social determinants of health. Source: Harvard Catalyst Pathfinder / Accessed June, 2015. The task of CTSA education programs is to prepare the next generation of investigators to conduct clinical and translational research that will address the health care challenges faced in the United States. Creating a recognizable discipline centered on clinical and translational science will help build this workforce. To help establish the discipline, the CTSA Education and Career Development Key Function Committee has drafted national standards for core competencies in clinical and translational science. The thematic competencies identify common, basic elements that should shape the training experiences of junior investigators by defining skills, attitudes and behaviors that can be shared across multidisciplinary teams of clinician-scientists. The overall goal is to create a competency-based education for training clinician-scientists that will define the discipline of clinical and translational science.